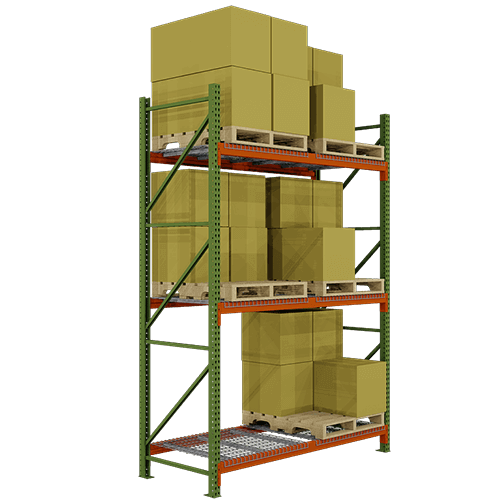 Maximize your storage space by incorporating pallet racks in your warehouse. 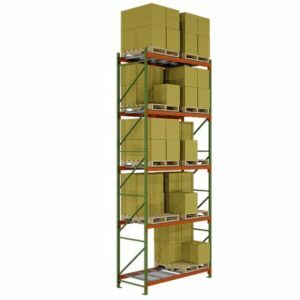 All Pallet Racking systems begin with a Pallet Rack “Starter Kit”. 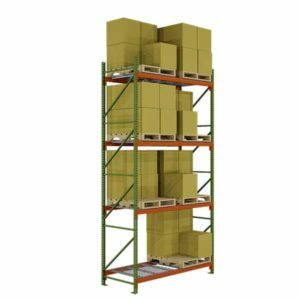 Our starter kits include Two (2) uprights and Four (4) or more pallet rack beams depending on your specific storage requirements. Boltless design allows for fast and easy assembly. Beams easily lock in place and adjust in 2” increments. Upright Frames are welded vs. bolted and built from 14-gauge steel. Powder coating provides a durable and high quality finish. 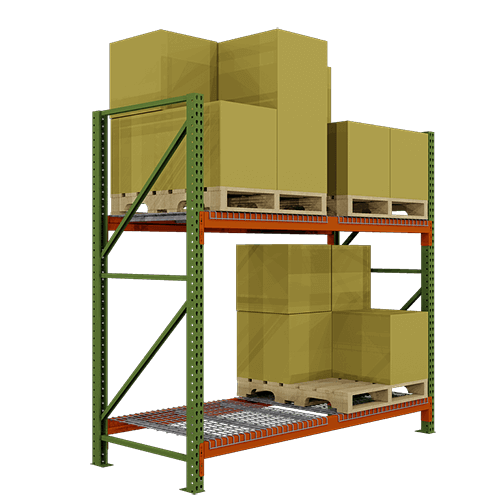 Extend your racking system with Pallet Rack “Adder Kits”.